BB Chronological 27: BB #11 – a 70s Vibe! Big Bang Comics #11 was published in June 1997 but the issue itself has the feel of a mid-1970s issue of DC’s Detective Comics. 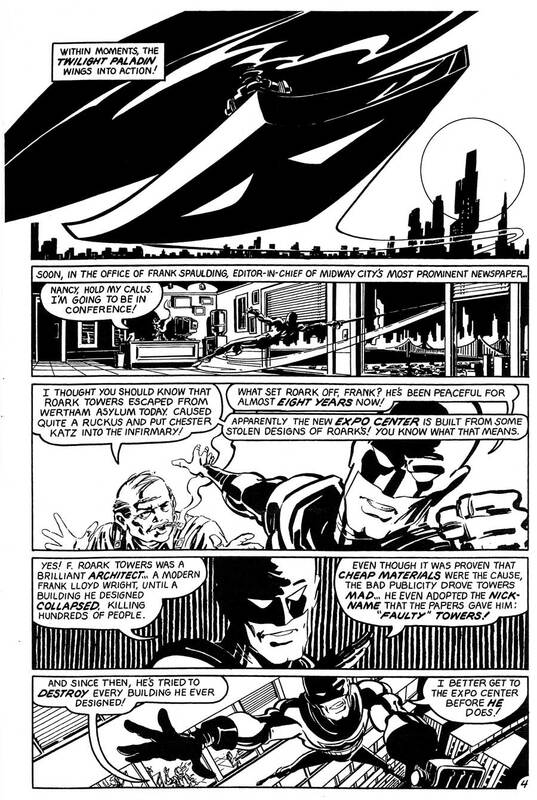 The lead story features the Knight Watchman, followed by a solo adventure of his former sidekick (don’t call me Kid) Galahad, now a college student at Memorial University, and the final story details the return of the Golden Age manhunter known as The Absolute! The Knight Watchman stars in The Radical Return Of Faulty Towers, which was plotted by artist Dan Reed, and scripted by me. The main villain is F. Roark Towers, a brilliant architect who went mad when one of his creations collapsed and decided to destroy all of them. Now an occupant at the Wertham Asylum for the Criminally Insane, he discovers that fellow inmate Chester Katz, aka the infamous Cheshire Cat had stolen and sold one of his recent blueprints and that the new building is set to open the next day. Towers breaks free to destroy the “stolen” structure. Towers, decked out in a fancy costume with a jetpack sets demolition charges throughout the building. Luckily, the Knight Watchman is on the job and rescues the dishonest owners of the structure in his Flying Shield, and Towers is captured, thanks to the interference of the wacky Cheshire Cat. One of my favorite things about this story is that we get to see the Watchman in his real identity as fashion designer Reid Randall, prepping a line of women’s clothes for a fashion show with his mother, Ma Randall. 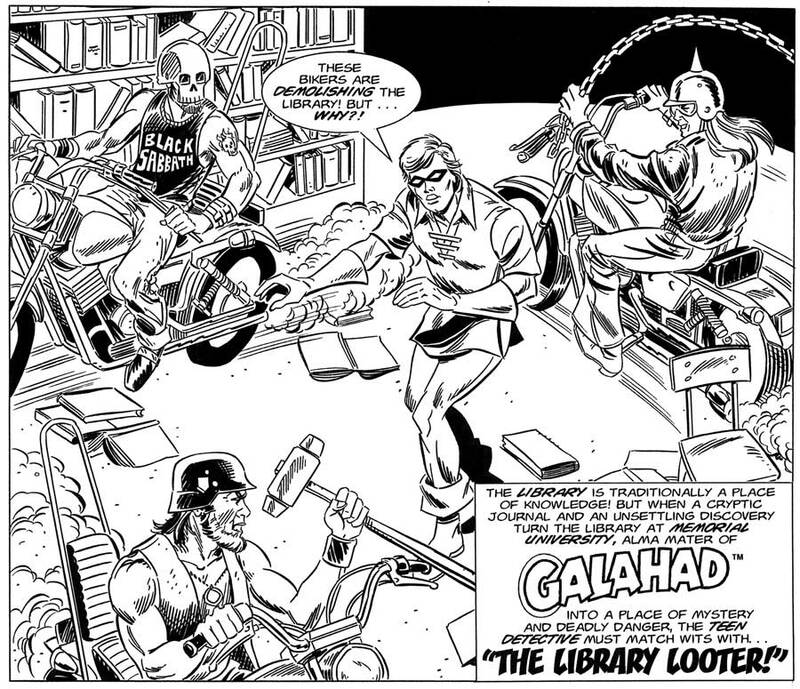 Next up is Galahad, the former Kid Whiz in The Library Looter. Written by Terrance Griep, Jr., the story details a treasure hunt on the campus where college freshman Jerry (Galahad) Randall is enrolled. It seems the founder of the college left a hidden treasure somewhere and everyone from students to a biker gang are trashing the campus trying to find it. Luckily, Galahad is on hand to help keep the peace and to apprehend the villainous librarian who is out to find and keep the treasure. 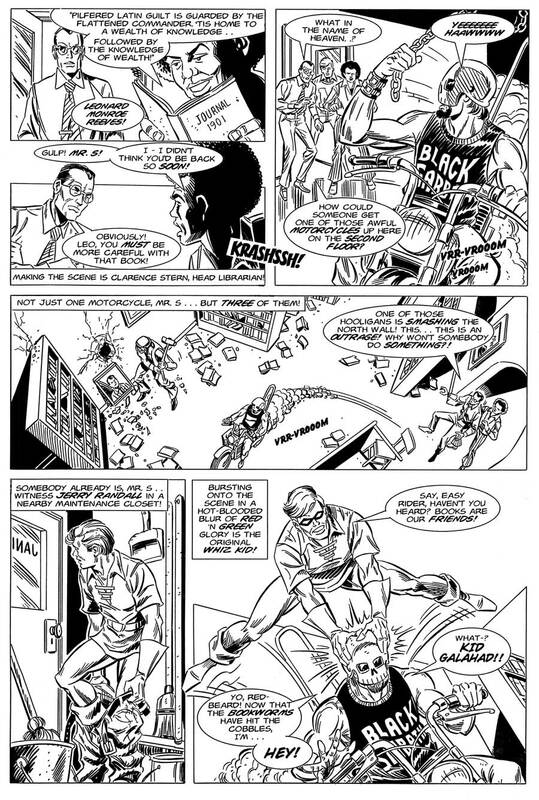 This is one of my favorite Big Bang tales of all time, for no other reason than than the art by David Zimmermann (with inks by Jim Brozman) is so wonderfully close to Irv Novick’s style. 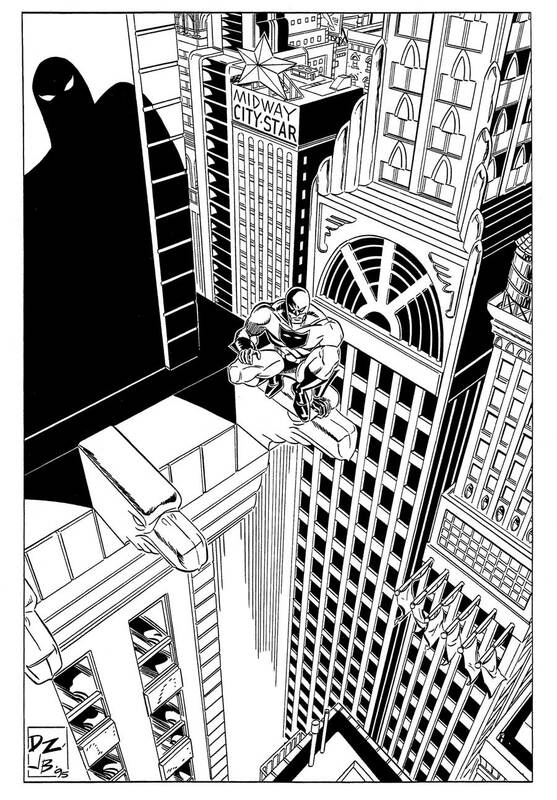 I think I’ve mentioned before that Chris Ecker and I started doing Knight Watchman and Ultiman as fun Golden Age back-ups, but some submissions from Mr. Zimmermann led me to believe that we could pull off ghosting all eras. 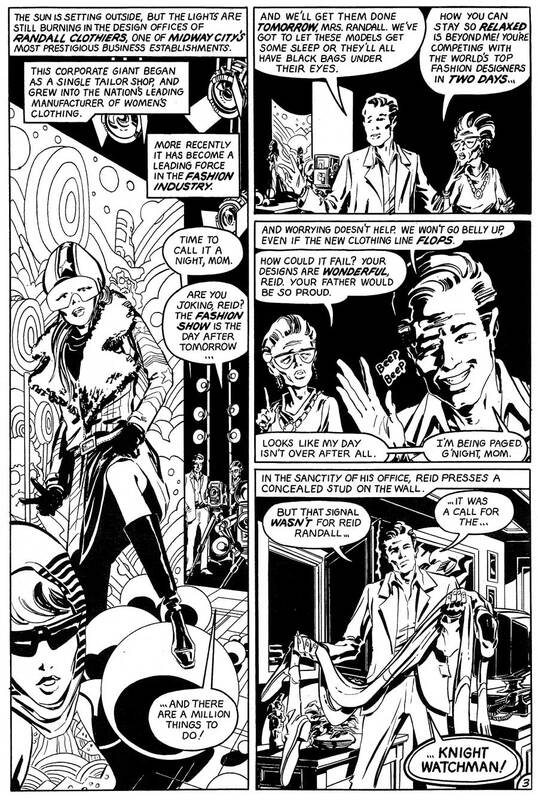 In fact, one of Dave’s earlier pieces, a Knight Watchman pin-up from two years earlier, again ably inked by Jim Brozman. Thanks again, Dave. If only Big Bang had been making money. Just imagine the fantastic stuff we could have done with Dave, Jeff Weigel, Bill Fugate, Ben Torres, Chris Ecker and the others. 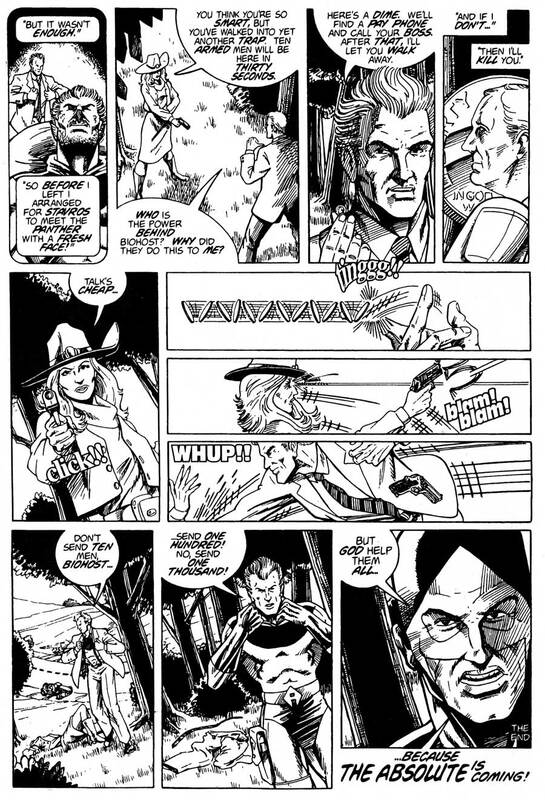 Speaking of fantastic stuff, the final tale in BB #11 stars The Absolute – He’s The Last Word In Justice! 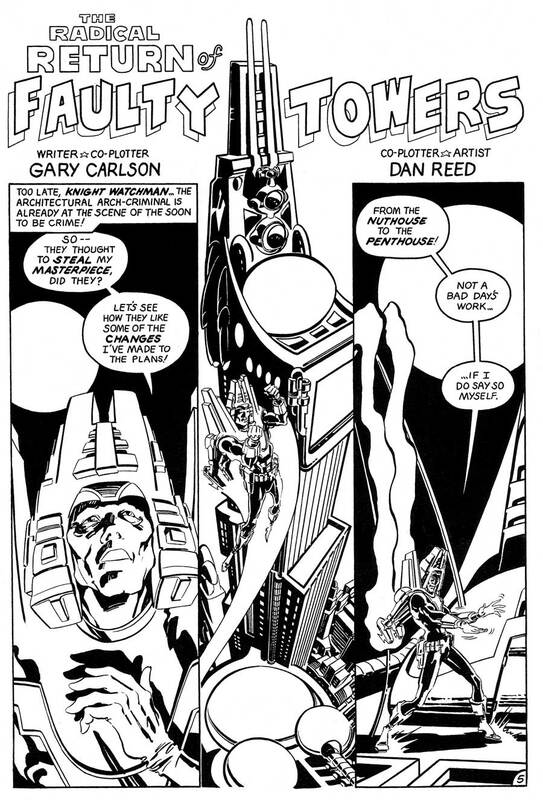 Written by Daniel Wilson with art by Darren Goodhart, it’s a wonderful homage/pastiche/tribute to Archie Goodwin and Walt Simonson’s Manhunter stories from Detective Comics. 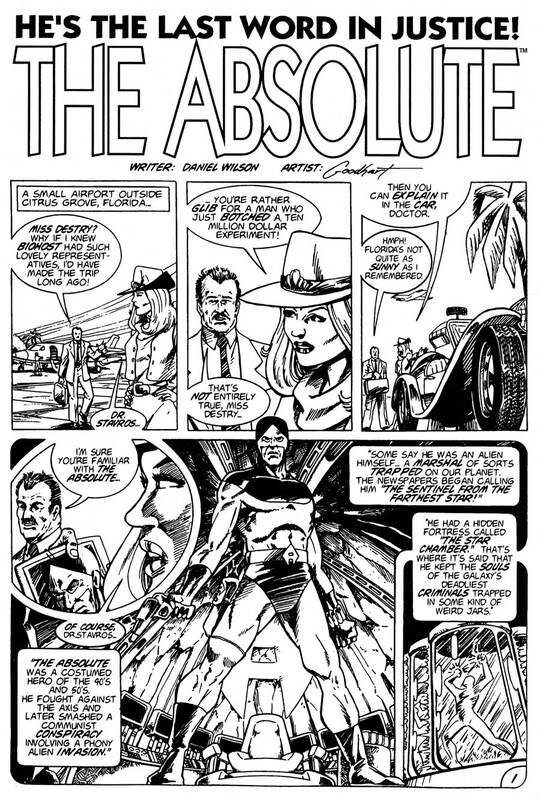 The story introduces readers to the Absolute, a Golden Age hero and Axis fighter who had been kidnapped from his hidden Himalayan fortress in Nepal by a criminal organization to steal his secrets. The tale has twists and turns; both the art and story are a love letter to Archie & Walt. 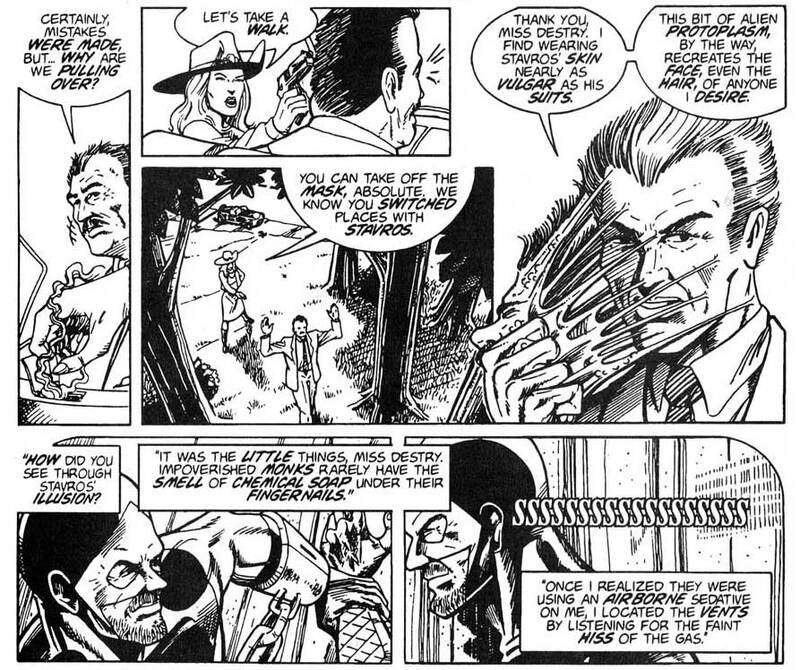 Even better, the Absolute returned a few issues later. Next time: Big Bang Comics #12 – – part one of the Savage Dragon crossover! 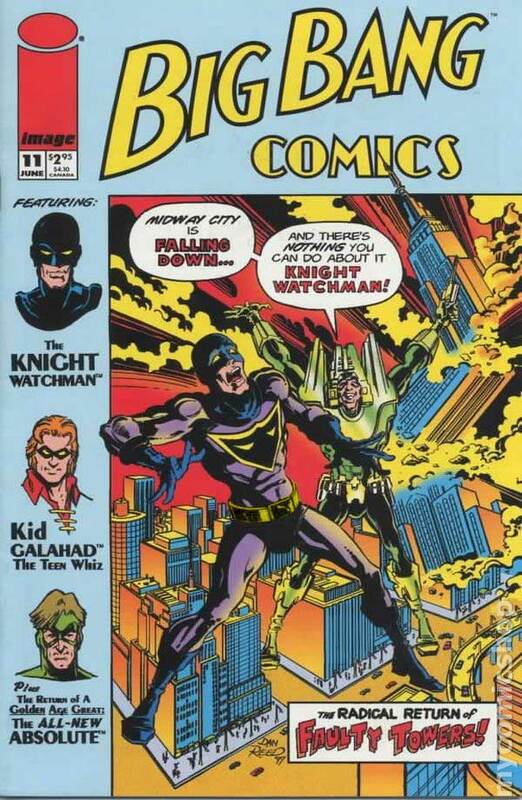 Big Bang Comics, Knight Watchman, Galahad and related characters are © and TM Gary S. Carlson and Chris Ecker. The Absolute and related characters are © and TM Darren Goodhart and Daniel Wilson. Faulty Towers is © and TM Daniel Reed.